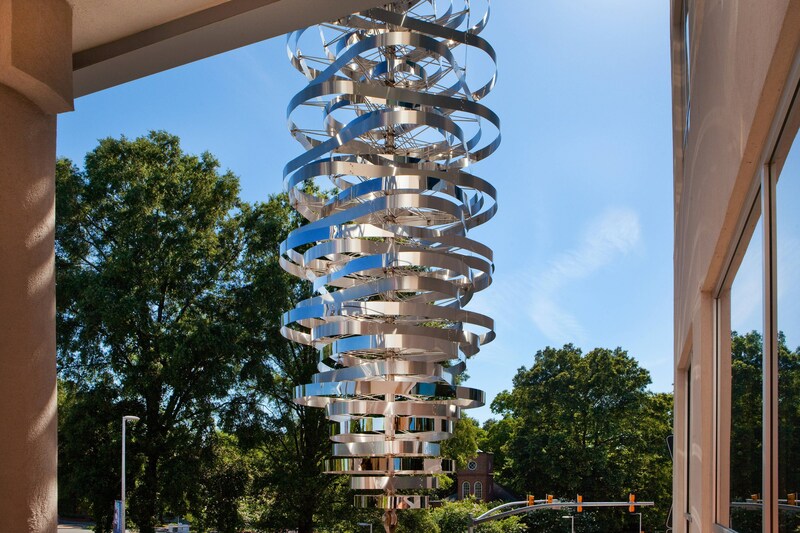 Celebrate your style at Aloft Raleigh, a hip hotel that&apos;s just across the street from North Carolina State University&apos;s Main Campus, with great Bell Tower views. 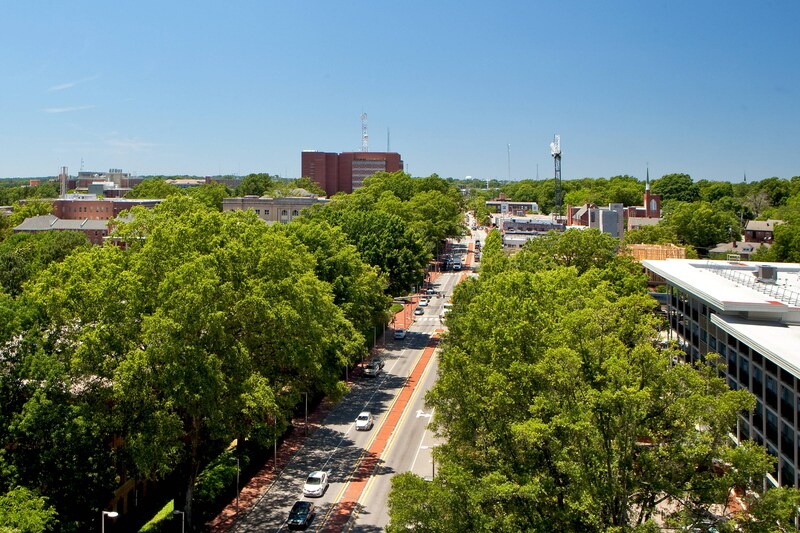 We offer easy-breezy access to downtown Raleigh, Cameron Village and the rest of the Triangle. You can even rent a bicycle from our complimentary bike share program to explore the best of our city. Meet and mingle with friends at our w xyz (SM) bar, grab a sweet, savory or healthy snack from re:fuel by Aloft(SM), our 24/7 pantry or play in our re:mix(SM) lounge. Plus, you can always stay connected with free hotel-wide wired and wireless highspeed internet access! Breeze into one of our Aloft rooms, featuring our ultra-comfortable signature bed, walk-in shower, custom amenities by Bliss® Spa and more. Our plug and play connectivity station charges all your electronics and links to the 49” LCD TV to maximize work and play. 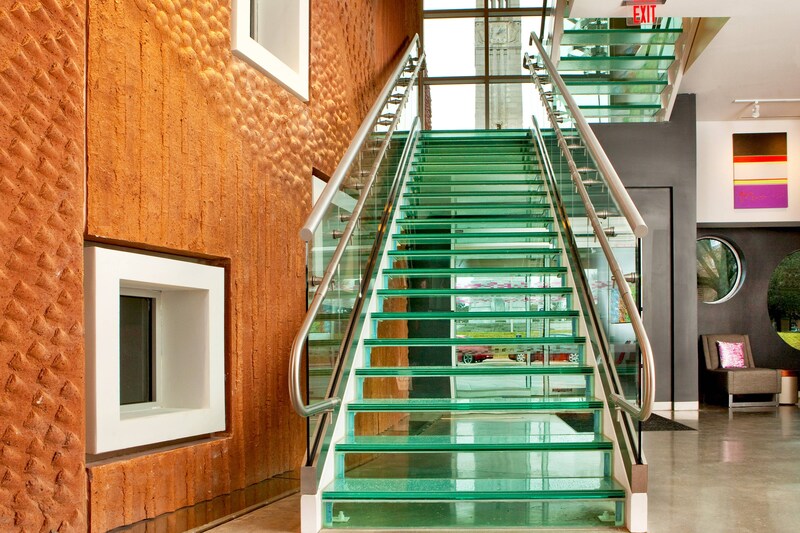 Aloft Raleigh has a rotating art gallery that features local artists and a permanent mural by a local artist. 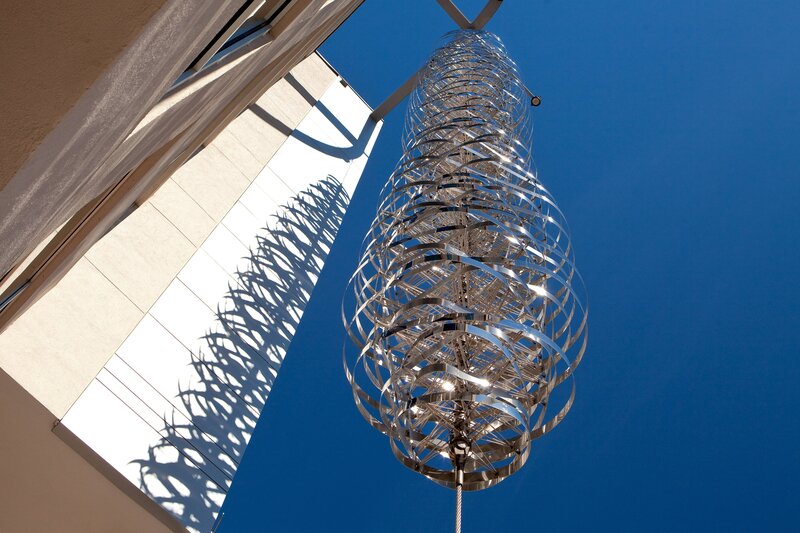 Built in to the building is art by local artist and sculpter Thomas Sayre. W XYZ® s an eclectic space that&apos;s always thriving with live DJs and emerging artists. W XYZ bar has a robust event calendar, including trivia and Live at Aloft Hotels, that draws in locals. W XYZ bar and Re:mix lounge has glass walls opening to a terrace with views of North Carolina State Univeristy&apos;s campus, the iconic Bell Tower, downtown Raleigh and Hillsborough Street. The hotel has a partnership with the city of Raleigh to provide free bike rentals to guests as on of their green initiatives. 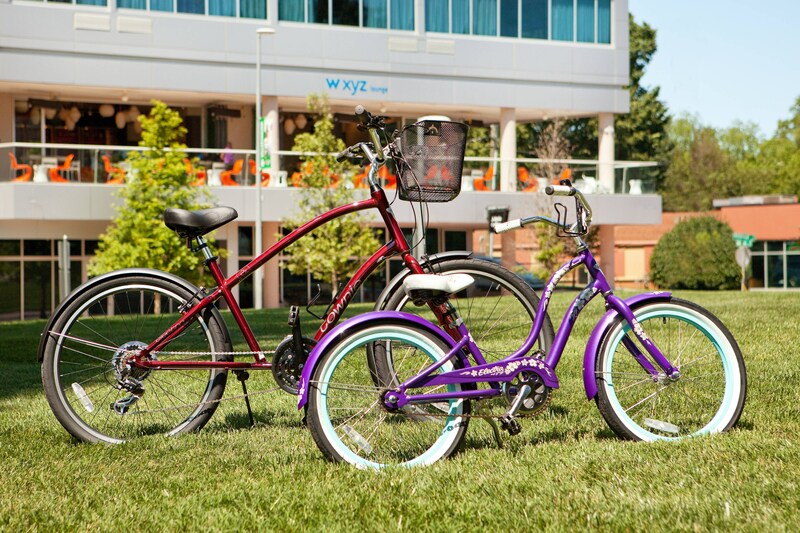 Guests can ride around NC State&apos;s campus, to downtown Raleigh, to nearby shopping, dining and parks. 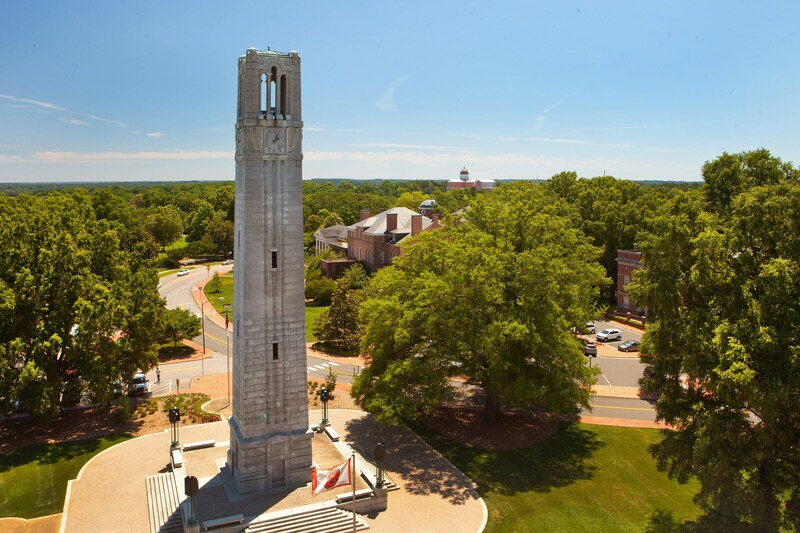 Aloft Raleigh’s meeting space overlooks NC State’s lush campus and historic bell tower. We feature one indoor meeting venue that is perfect for small gatherings or intimate receptions. Our Tactic meeting room can be combined with the pre-function/breakout area for up to 1,556 square feet of space. This meeting space has a mural by a local artist and is ideal for co-working, presentations, and board meetings; with an all-glass exterior wall and entrance that opens up to NC State’s bell tower. Suite 212 is perfect for small meetings and features a balcony, with views of downtown Raleigh. Ideally located across the street from North Carolina State University&apos;s Bell Tower, and just minutes from downtown, Aloft Raleigh offers the perfect location for the best things to do in Raleigh, NC. Visit campus to cheer on the Wolfpack, or take a short drive to downtown Raleigh and visit one of many attractions listed below.